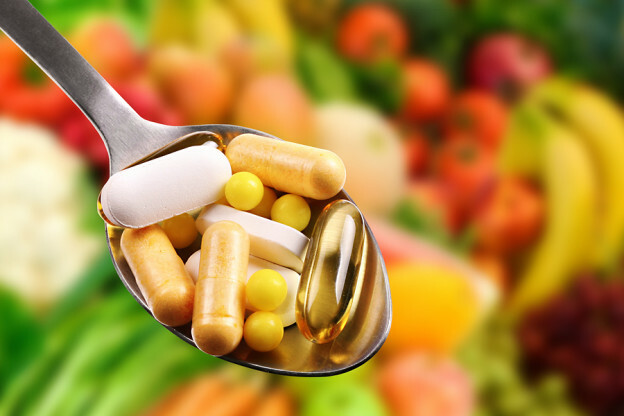 What other supplements should you be taking? I think one of the most confusing things my newer patients run into is what I call the “supplement conundrum”. You may be in the same situation. You hear about a nutrient that will help you lose weight, lower your blood sugar, protect your heart, so on and so forth. If you load up on every single one of them and your cabinet starts to overflow, it can be daunting. This makes it easy to forget to take them half the time… if you remember to take them at all. Or maybe you fit the other side of the coin. There are so many that you have no idea what you should buy. So you don’t buy anything. That’s why I like to keep things as simple as possible and my patients find that it works wonders for them. A full spectrum multi-vitamin that includes vitamins, minerals and antioxidants and phyonutrients. A high quality omega-3 supplement that’s been molecularly distilled and tested for purity. Aim for 1200 mg of EPA and 1200 mg of DHA daily to not only support your brain, heart health and slash inflammation, but also to protect and lengthen your telomeres. A vitamin D formula that contains the cholecalciferol form of D3. Take 2,000 IU daily or, if you’ve been tested and found to be deficient (below 40 ng/ml), you can take 5,000 IU. Retest with calcium levels and PTH (parathyroid hormone) in three months or so since it takes that long to stabilize Vitamin D levels in the body. CoQ10 in the form of ubiquinol. This is the reduced form of CoQ10 that’s super bioavailable. Just 100 mg. a day can protect and preserve your heart health, 200mgm/day if you’re taking statin drugs. A probiotic formula that contains a prebiotic along with lactobacillus, bifidobacteria and other strains of healthy bacteria. The higher the colony count, and the more live strains involved, the better off you’ll be. You have trillions of bacteria in your gut, 10 or 20 million in a probiotic is a drop in the bucket; look for at least 10 billion CFU/capsule. This is your minimum. And you don’t really have to do anything more than that unless you have some specific health concerns you need to address. Even then, you can keep your supplement intake to about three per meal – which is completely doable. For example, you might want added protection for your heart health… maybe something to help lower your blood pressure and keep your cholesterol and triglycerides healthy. In this case, add a nitric oxide enhancer or extra magnesium for blood pressure and a non-extended release niacin to your regimen building slowly up to 500 mgm./day prior to retesting. The nitric oxide will help boost a healthy blood flow and support your arterial health. Look for one that has beetroot juice as its main ingredient. It’s by far the best NO booster available. The niacin has a specific effect on small, dense LDL particles – the ones that are most dangerous. Plus it enhances the role of large HDL particles. Start off with 50-100 mg. and build up weekly by 50-100mgm. until you reach 500mg. Chlorogenic acid helps block the absorption of sugar in your intestines. Plus, it suppresses your liver from producing glucose after a meal. It can also help control the way your body stores fat. Better yet, it improves NO bioavailability and may help reduce blood pressure even further. All it takes is 200 mg. twice a day before your heaviest meals. Try green lipped mussel extract. It’s high in something called “furan” fatty acids. These fatty acids scavenge damaging free radicals. Just 150 mg. daily can reduce joint tenderness, morning stiffness and improve pain levels. I also like an enzyme found in pineapple, called bromelain. Take 200 mg daily to reduce pain, inflammation and swelling. The key is to keep it as simple as possible and use your supplements as they should be used – as an adjunct to a healthy diet and active lifestyle. Kuvin JT, et al. Effects of extended-release niacin on lipoprotein particle size, distribution, and inflammatory markers in patients with coronary artery disease. Am J Cardiol. 2006 Sep 15;98(6):743-5. Morgan JM, et al. Effects of extended-release niacin on lipoprotein subclass distribution. American Journal of Cardiology. 2003 Jun 15;91(12):1432-6. This entry was posted in General Health, Vitamins and tagged blood sugar, Bromelain, niacin, nitric oxide, probiotic, supplements on February 5, 2016 by wellness. Extremely useful article. Could you pl suggest the right sources for buying these supplements. It would be of immense help.